It’s the 5th day of the ‘workshop’ for DEPOT BASEL. The guys from Artlessfilms did a short introduction movie. Watch it and get excited about the outcome that we will present this weekend! 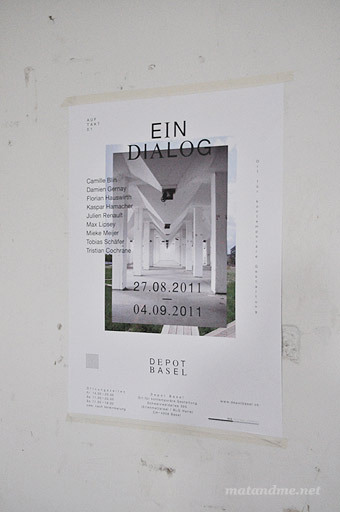 DEPOT BASEL PRELUDE 01 – A DIALOGUE from Depot Basel on Vimeo. This entry was posted in video and tagged a dialogue, basel, camille blin, damien gernay, depot basel, florian hauswirth, julien renault, kaspar hamacher, Max lipsey, mieke meijer, prelude, tobias schäfer, Tristan cochrane by Matylda. Bookmark the permalink.